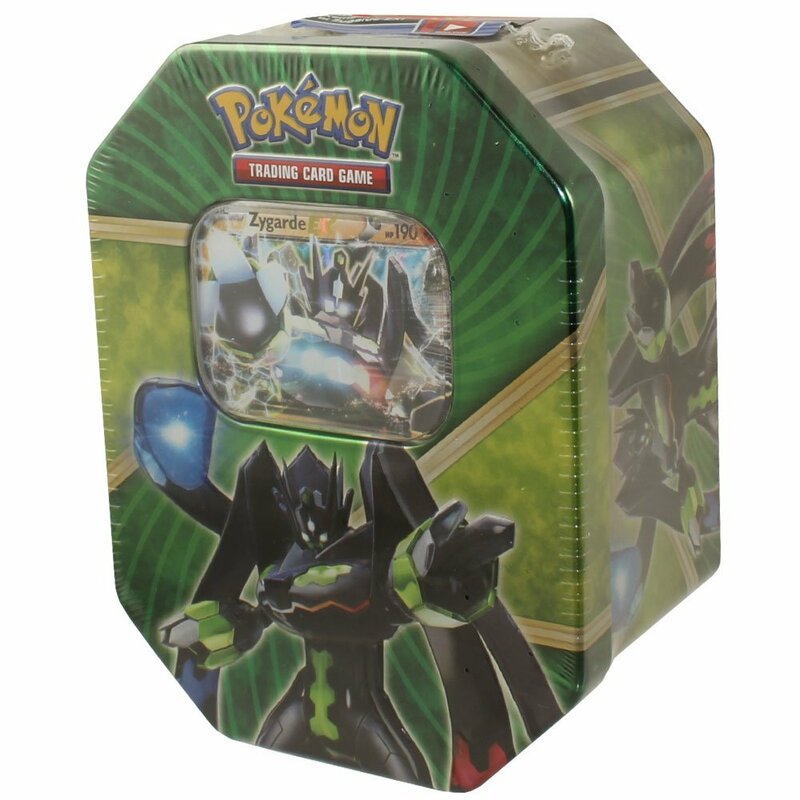 Shiny Kalos Tin - Zygarde EX comes with 4 Pokemon XY set booster packs, aspecial print of Zygarde EX Promo, and a code card to redeem a 60 card deckfor the Pokemon TCG online game. The deck is focused around Zygarde EX. Aswell as a tin with a Zygarde design.